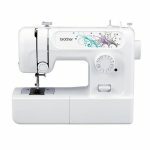 In general, machines that we have classed as “Very Basic” have only the bare minimum features needed for sewing and are best suited for those who only sew occasionally, or who are only just learning to sew and do not need more than the essential features. Basic sewing machines can be perfect for those sewers who rarely use more than a straight stitch. For example, if you only really need a cheap sewing machine for hemming trousers and denim jeans, then a “Very Basic” machine may be perfectly suited for your needs. 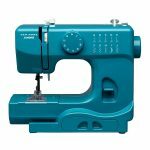 If you are a beginner on a budget then a “Very Basic” sewing machine may serve your needs until you can upgrade to a sewing machine with more features. This may be especially true if you are only just beginning to learn sewing as a hobby and you’re not sure if you’re going to love sewing or if it will just be a passing phase. If you are an enthusiastic beginner who wants to move quickly past the simplest features and on to tricky effects then basic machines may not be best for you. 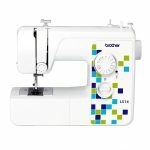 Machines classed as “Beginner” will be more suited to your skill level since they will help you to learn how to use basic functions on a sewing machine but will also have more decorative features to give you room to grow as a sewer. 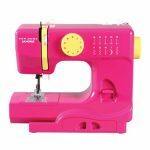 Many of the “Beginner” sewing machines are reasonably priced and may give you more scope for adjusting your machine to suit a variety of fabrics. 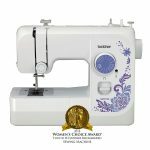 Note that “Very Basic” machines will sometimes be at the lower end of the price range of domestic sewing machines, and at times this lower price reflects the quality of the machine as well. 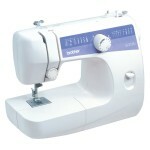 Basic sewing machines that are very simple, and very cheap, can at times be less robust than better quality machines. Cheap machines may also be more susceptible to wear and tear if you intend to do a lot of sewing. It’s best to read the reviews for each model to see what other users have experienced before going ahead with your purchase.